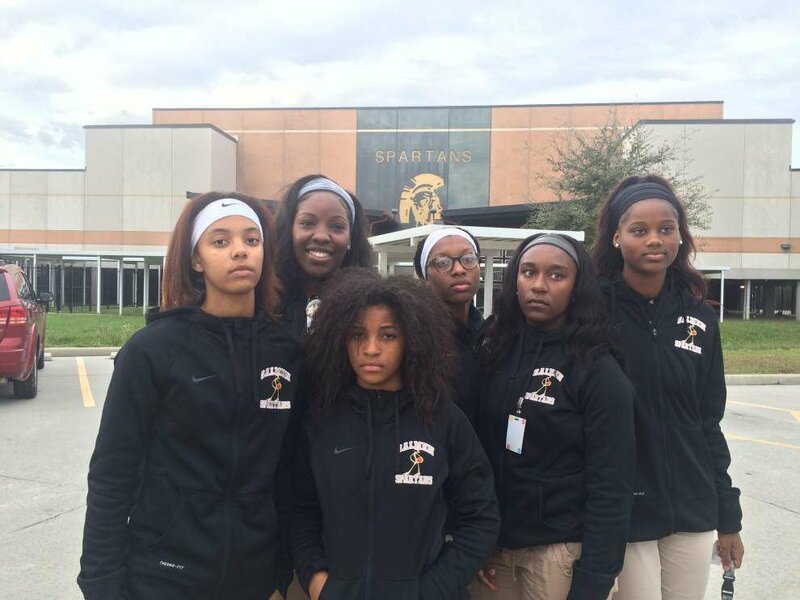 Photo provided by David Folse -- Less than 24 hours after they refused to play in a game because they claimed concerns about their new coach were not being properly addressed, seven girls basketball players at Salmen High School in Slidell were kicked off the team Wednesday. Photo by Rod Walker -- Salmen girls basketball coach Panos Bountovinas, right, talks to (from left) Jayla Faciane, Ashanti Eden and Allie Batistse during halftime of Thursday's game against Helen Cox. Update, 3:30 p.m. Thursday: Salmen parents have been notified that a decision to re-instate the seven players kicked off the team will be made after the holidays. “A thorough investigation by the St. Tammany Parish Public School System has found that allegations brought up in regards to the Salmen High Girls Basketball Coach are unfounded. "Four parents brought forward concerns on Monday to Salmen Principal Brennan McCurley in regards to the school’s girls basketball team. Mr. McCurley and Mr. Jerry Leonard, Salmen’s Athletic Director, met with the parents on Monday to discuss the allegations. The Salmen administration interviewed all members of the girls basketball team, and with the assistance of School System administrators, including former Salmen High School Principal and current Senior Supervisor of Administration, Mr. Byron Williams, fully investigated the allegations. The St. Tammany Parish Public School System does full background checks on all potential employees including fingerprinting, criminal background checks, and many other precautions. The safety of our students is our top priority, and we take every measure to ensure a safe and secure learning environment for all students." The New Orleans Advocate also spoke with a Mt. Carmel parent whose daughter was coached by Bountovinas there. She said that there were no problems with him at that school. “He was really wonderful….the girls loved him,’’ she said. As a basketball coach, his knowledge of the game was “a little lax,’’ she said, crediting the state championship earned under him to the quality of the team. But she praised his interaction with the team and said he worked well with parents. Update, noon Thursday: Six parents of players kicked off Salmen High School’s girls basketball team Wednesday met with school administrators for two-and-a-half hours Thursday morning, according to one of the parents. The parents are waiting to hear from administrators if seven players would be reinstated, said Myles Cooper, one of the parents. The players boycotted a game earlier this week after saying their concerns about coach Panos Bountovinas were not being heard by school leaders. She also said that twice during the season, a female assistant coach had to kick Bountovinas out of the locker room while the girls were dressing. Calls to a school system spokeswoman were not returned. 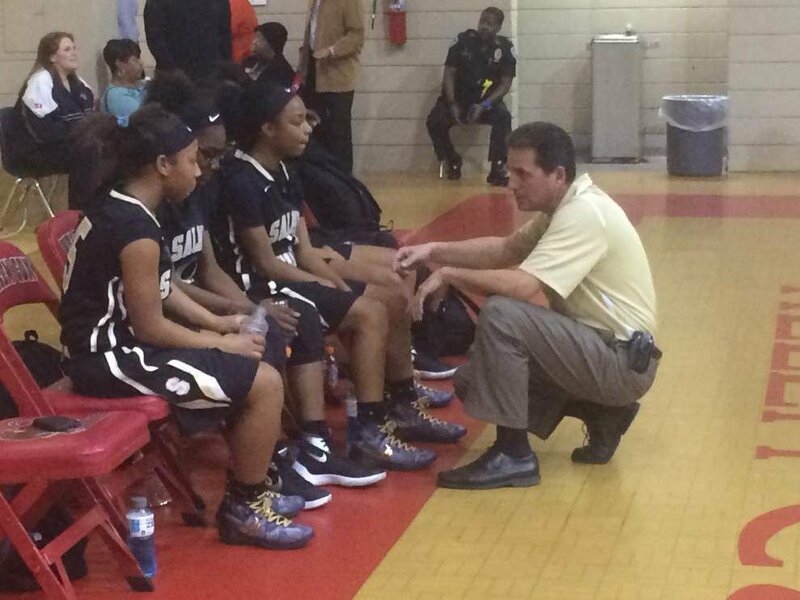 Less than 24 hours after they refused to play in a game because they claimed concerns about their new coach were not being properly addressed, seven girls basketball players at Salmen High School in Slidell were kicked off the team Wednesday. Senior Kayla Sibley said first-year coach Panos Bountovinas met with the players and broke the news. When they asked why they were dismissed, Principal Brennan McCurley told the girls they weren’t allowed to ask any questions, Sibley said. Parents of the players are scheduled to meet with McCurley at 8 a.m. Thursday. Attempts to reach McCurley, Bountovinas and St. Tammany Parish School Board spokeswomen Meredith Mendez were unsuccessful Wednesday. Sibley said she wasn’t comfortable around Bountovinas because he often touched her. The players dismissed from the team were Sibley, Darnelle Webb, Myrezonte Cooper, Amara Bickham, Jazmine McKain, Antoinette Neal and Brianna Rudolph. On Tuesday, the seven players chose not to show up for their road game against Cabrini and, instead, attended the boys basketball game at Salmen. Only five players dressed out for Tuesday’s game, which ended in a 47-45 Salmen loss. Cooper did not elaborate on the specific concerns. Bountovinas is in his first season at Salmen. He spent two seasons at Mount Carmel, leading the Cubs to the Class 5A state championship in 2014. He was named The New Orleans Advocate’s Metro Coach of the Year for Large Schools that season. He resigned from Mount Carmel before last season, citing personal reasons. “After that meeting, we were assured everything was going to be OK and we should move on as one unit,” Cooper said. But Sibley said some concerns arose during the season. Salmen is scheduled to play at Helen Cox at 6 p.m. Thursday. David Folse II, Faimon Roberts and Sara Pagones contributed to this report.